Regardless of the industry, consumer data privacy is a top concern for businesses and customers alike. Lawsuits continue to rise due to regulatory compliance violations. Some of the most prestigious brands in America have been impacted by multi-million-dollar Telephone Consumer Protection Act (TCPA) lawsuits, with 4,392 lawsuits filed in 2017 alone. While implementing compliance measures can often feel like an operational burden, contact centers can reap the benefits from better data intelligence across the enterprise. From higher customer satisfaction to more frictionless, personalized service to greater operational efficiency, the opportunities are endless. For example, do your agents know if they are contacting the right person? Do they know the best times to call customers? Do they know the best phone numbers to use? Can your agents connect an inbound phone call immediately to the CRM record? Are your agents tasked with manual identification checks, or can your IVR handle verification? 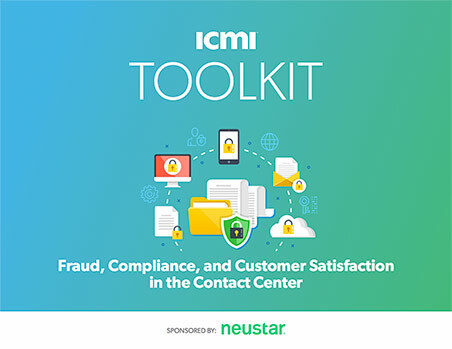 The resources in this toolkit will provide your organization with a better handle on consumer identification management so you can improve performance, increase profits, and fine-tune the customer experience.